Les Allusifs is a small editor that publishes works of fiction by European and North American writers. The artistic direction of each collection distinguishes its books from novels published by more commercial publishers. 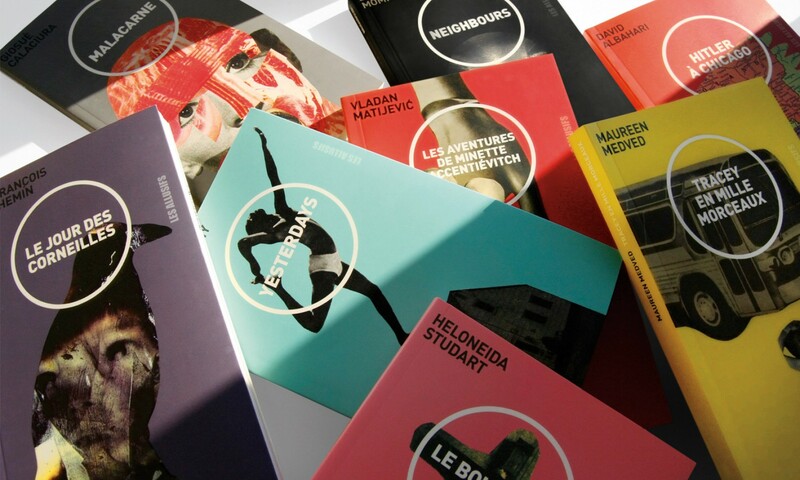 The publishing house commisionned Paprika to design its main collection’s book covers. We wanted the covers to be playful and impactful in bookshops. Thus, we used a wide range of vibrant colours and collaborated with the illustrator Alain Pilon. The whole collection is both bold and harmonious.